Print Fetish - In Brief: What, as they say, is up? In Brief: What, as they say, is up? We are often quiet ... but now we have a reason! So, yeah. 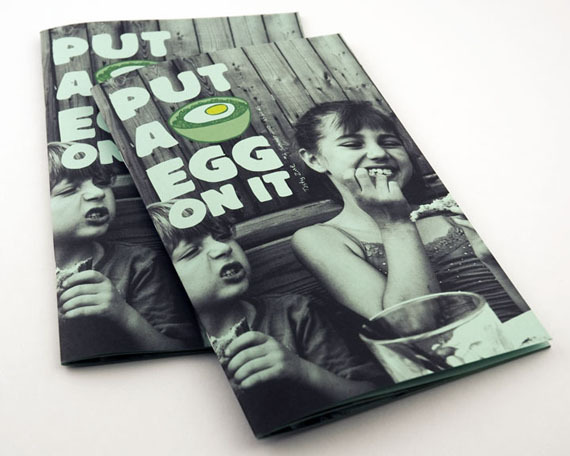 Our zine, Put A Egg On It, just came out and we're in the throes of promotion and post office trips. One cool thing: the zine was in this weeks New York Magazine Approval Matrix! If you're in New York, you can pick up a copy at St. Mark's Bookstore, Spoonbill & Sugartown, Marlowe & Sons, Cinders Gallery and Desert Island. Or you can get your copy here. On top of that, we're moving into a new studio today and tomorrow! What should we name it?